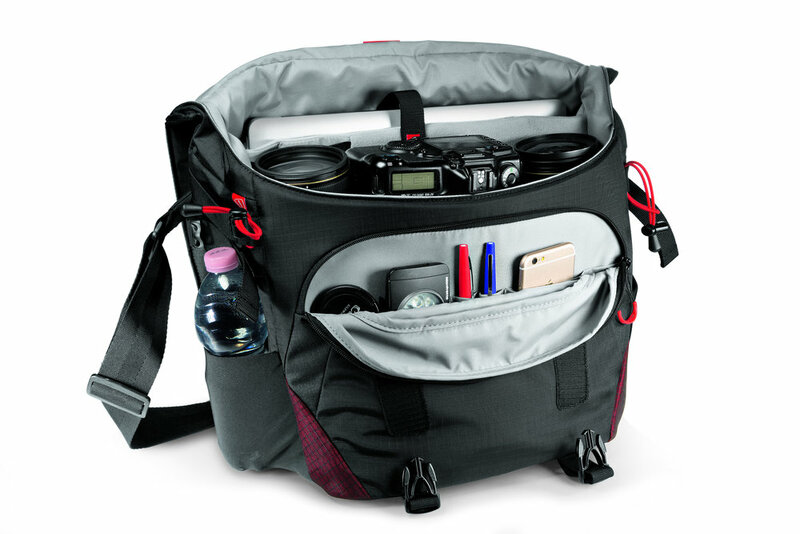 Manfrotto, a leading global innovator and manufacturer of premium photo, video and lighting support products and accessories, has launched the new Pro Light Bumblebee bags - perfect for professional and amateur photographers and videographers who work outdoors and want a reliable carrying solution. With this collection, users can stay comfortable in the harshest of conditions despite high temperatures, extreme cold or high humidity. The new Pro Light Bumblebee family is an exceptional assortment of high-performance camera backpacks and messenger bags which perfectly embody Manfrotto’s Italian heritage. 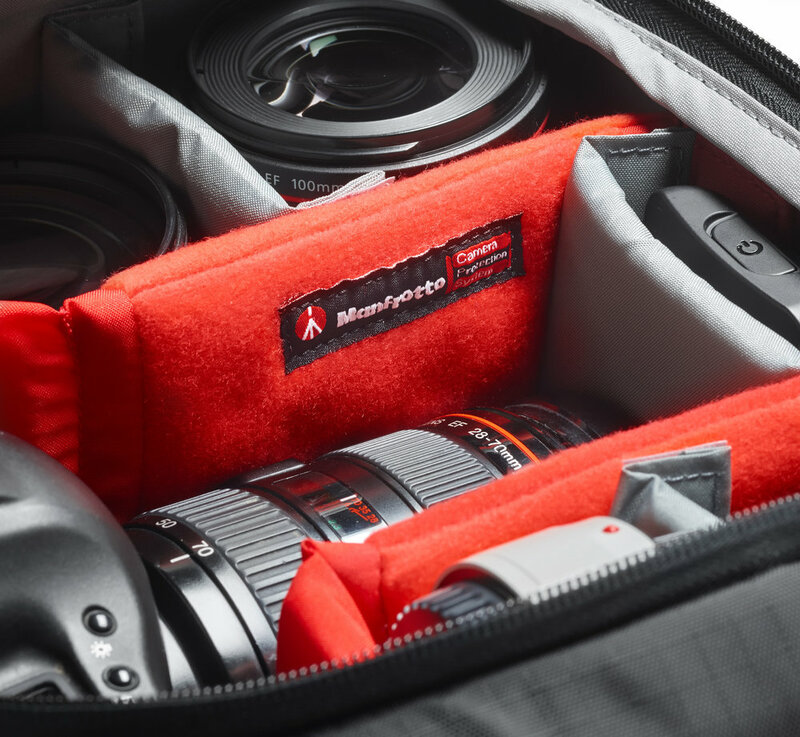 This family introduces Manfrotto’s unique-to-the-market breathable harness system that greatly reduces photography gear fatigue, allowing image makers to cover more ground and locate the best spots for the perfect shots. 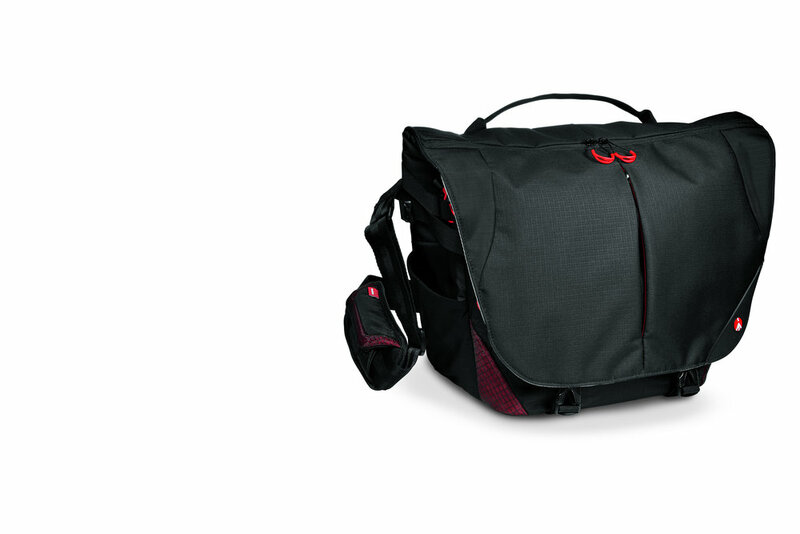 Inside, the bags’ innovative designs safeguard the latest professional equipment options. The renowned Camera Protection System (CPS) dividers take extra care of camera bodies and lenses. They are fully adjustable and built to distribute weight evenly and avoid tension to the body. 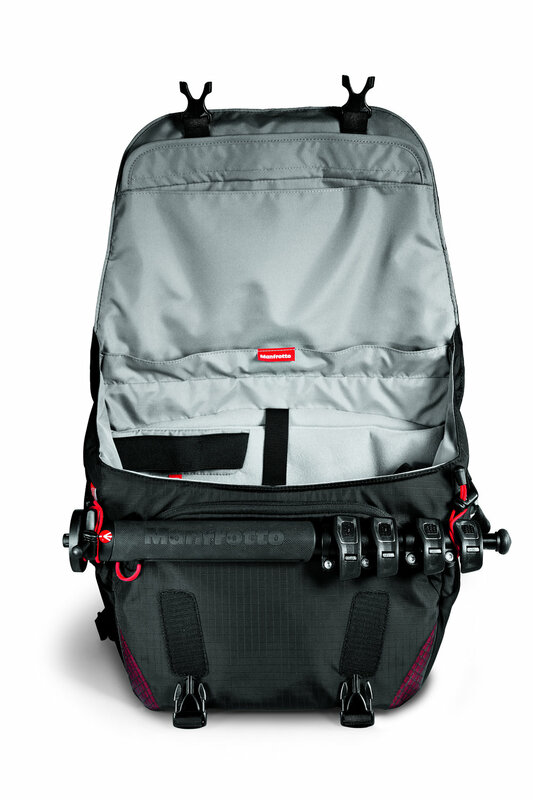 The new Manfrotto Bumblebee backpacks are designed to take stress and heat off the shoulders, neck and lower back and feature Manfrotto’s state-of-the-art AirSupport breathable harness and back panel, adjustable sternum support, shaped hip and waist support systems. 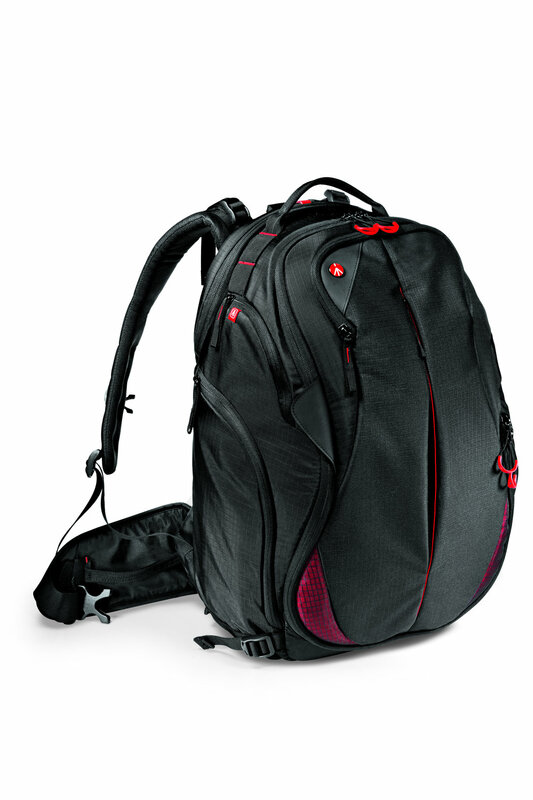 A side handle helps users put the pack on or take it off, while elastic side pockets keep water bottles outside the critical gear zone. · The Bumblebee-230 PL backpack protects a gripped DSLR with a 70-200/2.8 lens attached and 10 additional lenses or an attached 400/2.8 with five additional lenses. In video configuration, it protects a disassembled modular camcorder like the Canon C100 with numerous lenses & accessories. It also fits a 17” laptop in its own padded compartment. · The Bumblebee-130 PL backpack keeps a high-end CSC or a DSLR safe with a 70-200/2.8 lens attached and eight additional lenses or an unattached 400/2.8 with three additional lenses. In video configuration, it protects disassembled modular camcorders like a SONY FS-5. It also fits a 15” laptop in its own padded compartment. 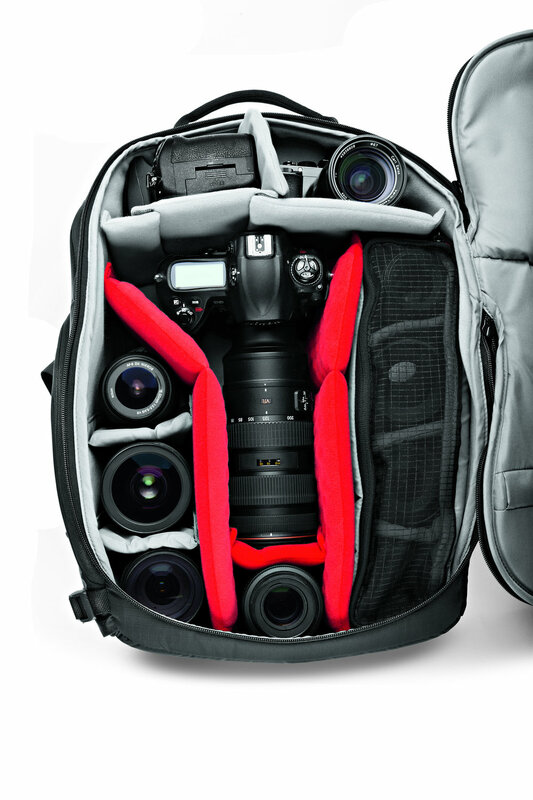 The entire internal space is padded to protect camera gear but can be also configured to accommodate accessories and personal gear as well. The main zipper comes with four pullers, which can be divided by a stopper into a top and lower compartment. Just open the top zipper for rapid access to frequently used contents from above. A smart NeverLose tripod connection secures both longer and shorter tripods on the side of the pack. The connection straps are stitched in the side pocket and can be tucked away when not in use for a tidier appearance and to prevent straps getting lost. 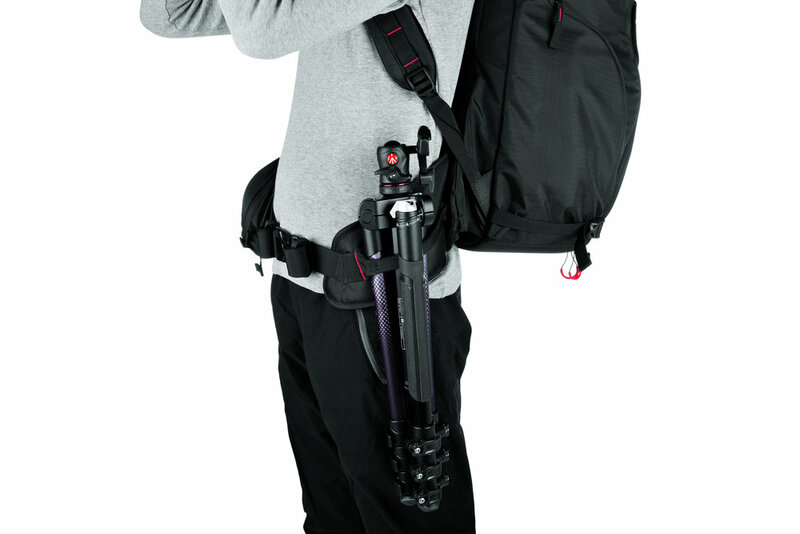 Manfrotto’s new Bumblebee Messengers have significantly raised the bar for their category: a combination of flawless design and reliable performance, they meet all the needs of demanding professionals who travel light and fast. 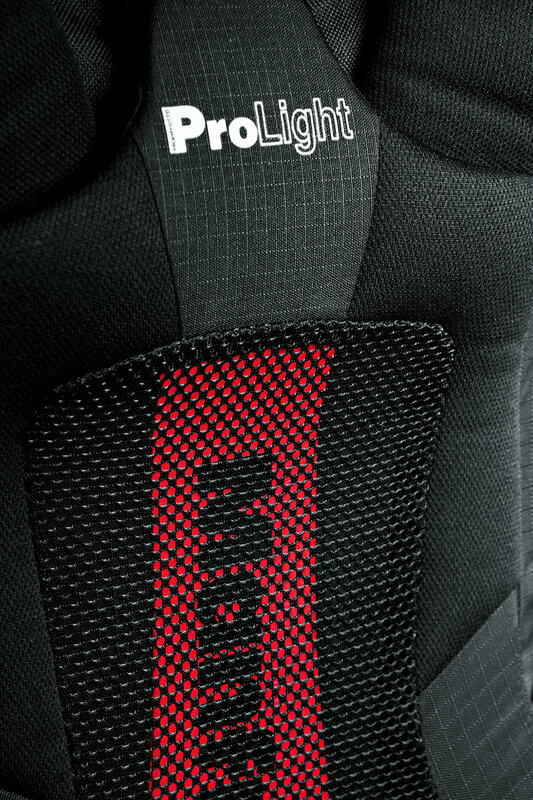 Like the backpacks, the messengers’ body-gripping fit and 3-point AirSupport harness system is breathable and perfect for prolonged outdoor use. The length of the strap can be rapidly adjusted using the EasyGrip buckle. · The Bumblebee M-30 PL Messenger protects a DSLR with a 70-200mm/2.8 lens attached and three additional lenses, a handheld gimbal (such as a DJI Osmo) and a 15” laptop in their own padded compartments, with all the necessary accessories. · The Bumblebee M-10 PL Messenger keeps a CSC/DSLR safe with a 24-70/4 lens attached and two additional lenses (including 70-200/2.8) and a handheld gimbal (such as a DJI Osmo) and a 13” laptop in their own padded compartments, with all the necessary accessories. It can also carry a full set DJI Mavic plus the Osmo gimbal camera. These bags introduce the XtraSecure handheld gimbal-carrying solution - a stretchable band that holds the gimbal’s moving parts so it can be taken out quickly. 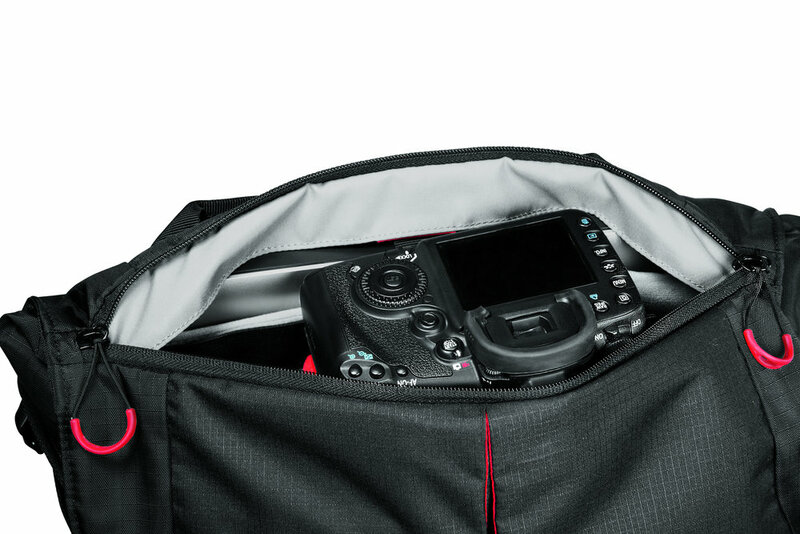 The area can also be used as a traditional lens compartment if there is no gimbal in the bag. Manfrotto’s Bumblebee Messengers feature a secure silent quick-access flap. When shooting in quiet environments (e.g. during a ceremony), apply the NoiseFree Velcro silencer to keep a low profile. The broad front organizer keeps everything on hand. There are two bungee cord straps to hang a small tripod, monopod or selfie pole, which are also protected by the front flap. The Bumblebee Messengers can hold a gripped DSLR body when you take out the laptop from its compartment. All the bags of the Bumblebee collection come with a DuoFace sun/rain cover to protect from rain, reflect sunlight and keep the gear cool and dry all day long. For additional information about Manfrotto, visit manfrotto.us. Follow Manfrotto on Facebook at facebook.com/manfrottoimaginemore, on Twitter@manfrotto_us or instagram.com/manfrottoimaginemore. Manfrotto is the world leader in the design, production and distribution of professional products for photography, video and entertainment. The company was founded in 1972 based on Lino Manfrotto’s experience, and its mission has always been to support and simplify the work of reporters, photographers and producers. The Imagine More project adds to this historical mission the idea of fuelling the enthusiasm of weekend photographers and supporting the surge of new amateurs. Part of the UK-based Vitec Group since 1989, Manfrotto has now become a worldwide presence. In its nine key markets – Italy, France, Germany, the United Kingdom, China, Japan, Hong Kong, the United States and from 2016 in the Netherlands – it is represented by its own direct distribution system, Manfrotto Distribution, whereas in 80 other countries sales are handled by independent distributors.Through the Imaging Division of Vitec Group, Manfrotto Distribution owns the following leading international brands: Manfrotto, Gitzo, Lastolite by Manfrotto, Avenger and is the U.S. distributor of Bowens, Gossen, Metz, 360Rize, Shoulderpod and National Geographic.